When I first visited Prague, I had no idea that the trip would turn out to be so memorable and special. Prague left an impact on my life that no other city ever did. 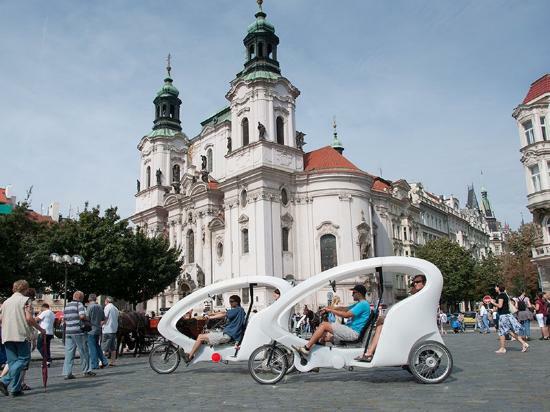 The capital of Czech Republic is city full of wonder, liveliness and fun. When my sister and I planned to visit Prague, we never in our wildest dream imagined to get such a good deal on the tickets. While we were browsing the internet, we stumbled across the amazing deal that made this trip even better than it would have been. The website offered a ‘buy one business class ticket and get second free deal. Oh yes, the second ticket completely free and that too business class. Of course, at first, my sister thought it was a hoax or fake deal. But it turned out to be valid. We traveled all the way to Prague using the deal. I guess luck was on our side at that point in life. It has been two months since my visit now. So I figured why not help people who are planning to travel to Prague know about some of the fun things that you can do there. Eating is an integral part of any holiday trip. If the food in the city is bad, you are doomed. Luckily food in Prague is delicious. My recommendation would be to definitely eat at least once at the ‘La Degustation Boheme Bourgeoise’ restaurant. It truly is an unforgettable experience. And the food and ambiance is great. 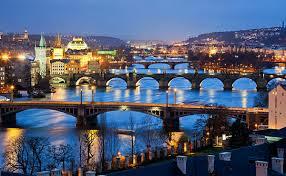 You must visit this popular and historic bridge over the Vltava River. It is named after the King Charles and was built during his rule back in the 15th century. The bridge is lined with majestic statues. In the afternoon, painters, vendors and tourists make the bridge a very lively place. Grab a hotdog from a vendor and enjoy the stunning view of Vltava River from here. Prague Castle is the official residence of the president of the Czech Republic. But that is not what makes it an interesting place. The fact that it is the largest ancient castle in the world is what attracts people. The gothic design and grand architecture makes it stand apart. When you are in a foreign city, you have the right to do completely crazy stuff. Do bungee jumping from a bridge across the Vltava valley. This would surely be the most memorable and exciting experience you will ever do at any vacation. Established back in 1818, the National Museum of Prague is the most fascinating place in Prague. It houses millions of artifacts and items related to History, Art and music. Visit the happening and lively Zizkov District for party and fun. To the east of this district, you will find the best clubs, bars and pubs.